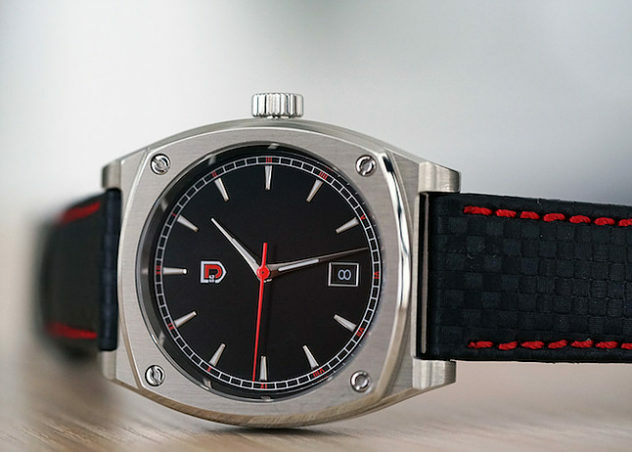 So now this is your last chance to get this pretty cool automatic watch. Indeed, the Kickstarter campaign of Jubileon will end on the 8th September. For the moment, they have not reached their goal … Well, no matter, they will be able to try again later and I am convinced that it will be a success. Honestly I don’t really understand why this campaign is not a big success right now… Because the watch is affordable, it has good specs and more than this, it has contemporary and classic design suitable for everyday use. I had the chance to try one and seriously the piece is really cool and it fits perfectly any wrist thanks to it size of 41 mm wide and 11.9 mm thick. The case is made in stainless steel 316L case with brushed and polished finishing. This one is made of 3 parts comprising the bezel (on which there is 4 decorative screws), the body and the caseback. 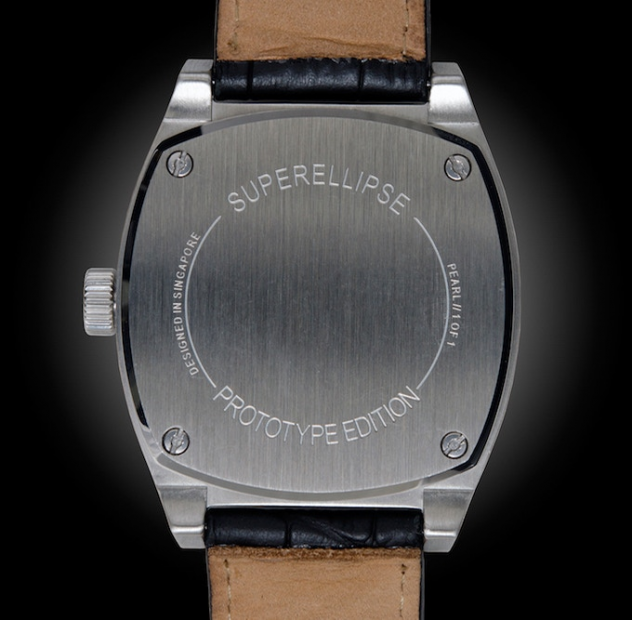 The overall design is nice but I have to say that I’m a bit disapointed by the caseback which is only engraved with the word “Superellipse” and some other other stuff… I would have preferred to find more details. 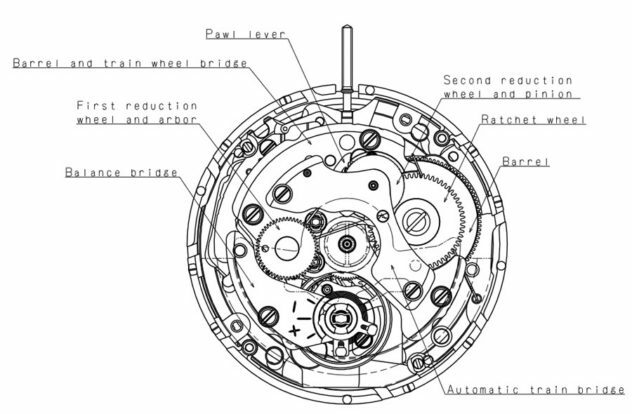 The heart of the watch is the Seiko NH35A movement. Sure it’s not a Swiss movement but let’s stay honest the Seiko NH35A delivers incredible value and durability. It has 41h of power reserve which is great. 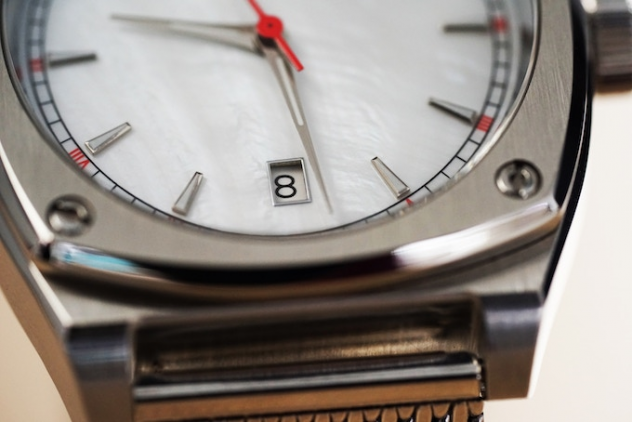 We know this movement for a while because it is one of the world’s most popular automatic movements and is widely available in many affordable and microbrands watches. Underneath the a sapphire crystal, the Superellipse dial features a nice ‘railway’ minute track, a date window at 6 o’clock, the logo of Jubileon at 12 and small hour indexes filled with C1 Superluminova. The hands are simple, yet elegant and there’s a red second hand, which fits with other red elements on the face. To produce a combination of two colours, the minute track is pad-printed in a 2-step process. This is an extremely precise process that requires perfect alignment of the two prints. When done properly, the result is an exquisite marriage of two colours. The same 2-step process is also applied for pad-printing of the Jubileon logo on the dial. The dial comes in four different designs – matte black, silver, cool gray, and pearl. To complete the Superellipse there is a nice Hadley-Roma leather strap with a classic pin buckle. You can get yours for 299$ so if you’re interested jump on their Kickstarter campaign.